What makes socially engaged Buddhism Buddhist? Is it enough to say, «Buddhism emphasizes compassion, so I try to live compassionately»? Compassion is essential to Buddhism, to be sure, but that sentiment does not by itself distinguish socially engaged Buddhism from socially engaged Christianity, or any other socially engaged form of spirituality. If every major religion emphasizes compassion, at least in principle, we want to know: is there anything more specific to say about the type of social engagement that Buddhism encourages? The first answer  and the most important answer  is: no. When we respond to social problems, there is no need to think that we are involved in such activities because we are Buddhist. We do them because we are responding compassionately to the situation, as should anyone, Buddhist or not, who is sensitive to what that situation calls for. Yet the question returns when we consider, for example, what most needs to be done. There are so many social problems, and none of us can address more than a few of them. So what should we focus on? Sooner or later we begin to distinguish between a particular problem and the larger social context that it is a part of, or caused by. How should we respond to that larger context? Because the broader perspective can quickly become quite speculative, it is not something that Buddhists want to think about constantly, for it can affect our mindful focus on the here-and-now that meditation practices encourage. But we do sometimes need to think about such issues, if our social engagement is to be truly consistent with our commitment to Buddhism. For example, homelessness in the United States is a serious problem that confronts many of us everyday, as we walk down the streets of the cities where we live or work. We dont help homeless people because we are Buddhist. We help them because they are not separate from us and they need help; and ultimately, in the act of helping, we do it for no reason at all. Nevertheless, there are broader issues here that need to be considered, by Buddhists as much as anyone else. Why are there so many homeless people, in a country that is by far the richest that has ever existed on earth? Why, for that matter, are there any homeless people in such a fabulously wealthy society? What does that imply about the policies of our local, state, and national governments? If government is an expression of our collective will, what does that imply about us? To ask these questions is to delve into difficult problems about what kind of society we want to have and how to work toward it  theoretical issues that often seem like a distraction from our Buddhist focus on «just this!» But if we always ignore them, and confine our social engagement with homelessness to volunteer work in soup kitchens  and I do not mean to deny that can be important work  it is like putting band-aids on sores that keep popping up, instead of diagnosing and treating the disease at its source. Sometimes we do need to ask: what is that source? What is the basic social dis-ease that needs to be alleviated and, so far as possible, cured? What does Buddhism say, or imply, about this type of dis-ease? The last question suggests another reason why Buddhists might be reluctant to reflect on the larger issues. Traditional Buddhism has had little to say about such social concerns, and what it did say was designed for premodern societies very different from our own. It is difficult to avoid the conclusion that Asian Buddhism has never offered much hope of reforming society. The social world is part of samsara, the realm of suffering and craving, and the Buddhist path offers an individual alternative to that, not a political solution to its social ills. Whether or not this perspective accurately describes traditional Buddhism, it cannot be true for modern Buddhism, whether Western or Asian. To begin with, we need to consider whether such a viewpoint reflects not so much Buddhist teachings themselves as the restrictive social conditions within which Asian Buddhism has had to function. To survive in the often ruthless world of kings and emperors, Buddhism needed to emphasize its otherworldliness. This encouraged Buddhist institutions and Buddhist teachings (especially regarding karma and merit) to develop in ways that did not question the social order. Modern democracy and respect for human rights, however imperfectly realized, offer new opportunities for understanding the broader implications of Buddhist teachings. 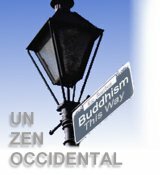 Furthermore, while it is true that the post/modern world is quite different from the Buddhas, Buddhism is thriving today because its basic principles remain just as true as when the Buddha taught them. If we try to find direct answers to our social problems in Asian Buddhist teachings, we will be disappointed, because those teachings were intended for people living in very different times and places. But if we ask what basic Buddhist principles imply for post/modern people and societies today, we may find that a Buddhist perspective has something important to offer. Moreover, we really have no choice. In the low-tech, Iron-Age world that the Buddha lived in, the consequences of social problems were quite limited. A king might oppress the people he ruled; his mercenaries might kill or get killed in a war; people might perish in a famine; but sooner or later society and the natural world would recover, usually sooner. Today we find ourselves in a much more dangerous situation, thanks to weapons of mass destruction and the large-scale ecological impact of other modern technologies (and the modern economies that use those technologies). Like it or not, George W. Bush is the most powerful person in human history. For those of us who do not like it, he is also the most dangerous person in history. His actions, along with the actions of those who follow him or fight him, can have enormous consequences that will significantly affect not only global human society but the whole biosphere, for thousands of years to come. Those of us who consider ourselves Buddhists can no more afford to disregard this truth than anyone else can. The three roots of evil remain the same: greed, ill will, and delusion (or «ignore-ance»). But our incredibly powerful technologies mean that they now operate and interact on a scale that is vastly larger than during the Buddhas day. For Buddhists to ignore this reality, while devoting ourselves wholly to our own liberation, is to ignore our responsibility to the world. Enlightenment, after all, includes realizing that we are part of the world, nondual with it, and today our world needs all the help it can get. So let us return to the question posed at the beginning, now refocused: What is the relationship between our Buddhist practice and our social engagement? How does each influence the other, or interweave with the other? My main point is that they are, and we must realize them to be, different aspects of the same developmental process. To think otherwise, viewing them as distinct issues, is a delusion of the sort that we are trying to overcome in our spiritual practice, showing we are not yet mature enough in our spiritual understanding. Believing and acting as if they are separate  that is, trying to liberate or awaken myself while leaving the rest of the world to take care of itself -- is another instance of the subject/object, self/other duality. This duality expresses the fundamental ignorance that needs to be overcome. In other words, our Buddhist practice and our social engagement need each other. Without responsible engagement by people committed to spiritual practice, the U.S. and world situation will continue to deteriorate, causing more people to suffer, along with the rest of the biosphere. Furthermore, our own spiritual practice is negatively affected by a self-defeating self-preoccupation  self-defeating, because a self-centered practice reinforces ones sense of self even as one works to overcome it. We may think that we are being spiritually transformed, but if the changes that happen reinforce our self-centeredness, the «cure» is worse than the disease. There are other ways that Buddhist practice and social engagement need each other. We know that without a spiritual practice, social engagement tends to burn us out because it is emotionally stressful and exhausting. From the other side, however, something else needs to be emphasized just as much: that without a spiritual dimension to our lives we cannot really understand what the basic problem is. I recognize this is a strong claim, which many people may be inclined to resist; but it is the crux of the matter, as we will see. And, of course, without understanding the basic problem we can hardly expect to address it successfully. Instead, our responses almost always miss the mark and we are likely to end up with a social situation worse than when we started. Why did the French Revolution evolve into the Terror and the rise of a new dictator, Napoleon? Why did the Marxist movement turn into Leninism and then Stalinism, Maoism, and the Khmer Rouge? Because the fundamental issue at stake was never just class privilege or capital (although they are certainly important dimensions of the problem). Then what is the basic issue? What does a Buddhist perspective reveal? In response, we need to highlight some fundamental Buddhist principles that are generally understood as important for our personal practice, but whose social implications are just as significant. The following ones are the principles that I think are most important. The first one is the relationship between our dukkha (usually translated as «suffering») and our sense of self. From a Buddhist perspective, it is not enough to say that the basic problem (dissatisfaction, frustration) of our lives is caused by craving or delusion. Rather, Buddhism relates our dukkha specifically to a delusive sense of self. In other words, our inability to live happily is strongly connected to our deluded sense of self/other duality, since the delusion of a self «inside» is also the delusion of an objective world «out there.» An unreal (because constructed) sense of self «inside» cannot escape dukkha because it cannot escape its intrinsic insecurity. It can never become secure because it has no reality of its own, being constructed. Feeling groundless, the sense of self wants to ground itself, yet that is something it can never achieve  because it is groundless! Many of us devote our lives to seeking symbolic realities such as money, fame, and power, but they cannot make us real, or help us evade our mortality. It is ironic, if not tragic, that institutionalized religion tends to reinforce this sense of group self, because religion at its best encourages us to understand and subvert the destructive aspect of this dualistic process. According to Buddhist teachings, for example, whether or not you consider yourself a Buddhist is not in itself very important, because there is nothing salvific about that label or, for that matter, about merely believing in the Buddhist teachings. What is important is how one practices and embodies those principles. A bodhisattva does not vow to save all other Buddhists; he or she vows to help liberate all sentient beings. I suggest that this kind of self-less universalism, which does not involve privileging us over them, provides the basis for Buddhist social action (and the foundation for any «Buddhist social theory»). The focus of the problem expands from ego-dukkha to wego-dukkha: that is, to the problem with establishing and aggrandizing an in-group identity at the cost of out-groups. If my constructed sense of being an individual self is dogged by a sense of lack that I can never quite resolve, so a collective sense of self is also haunted by a collective sense of lack that, historically, has tended to work itself out aggressively on others. In both cases, constructed self-identity is a delusion insofar as it obscures our interdependence with the other(s); and in both cases the solution is to realize our nonduality with the other(s), and to integrate that realization into the way we live our lives. In fact, might we go a little further and suggest that this perspective on the dukkha-inducing dynamics of group-self is a fundamental concept that can serves the same analytic role as capital and class analysis have done in Marxism? If so, however, it is important not to be monolithic about this approach, in the sense of trying to trace all problems back to a delusive self/other distinction. Rather than providing the solution to every social tension, this principle works better to provide the question: do we see such a dynamic operating? More often than not, the answer will be yes. In this regard too, our situation is somewhat different from that of Shakyamuni Buddha. Today we have not only more powerful scientific technologies but more effective forms of bureaucratic organization, which coordinate large numbers of people by subordinating them to their roles within the organization. Those outside such institution are controlled by those inside the institutions, who are themselves controlled by the way the institutions work. Think of modern school districts, modern welfare systems, modern military machines. I emphasize the modern, because the scale and efficiency of such bureaucracies is distinctively modern, with a quantum leap recently due to new information technologies. Such institutions work to institutionalize the collective sense of self, and thereby tend to take on a life of their own as new types of wego. The most important and dangerous instances of this are nation-states, large corporations, and military-industrial complexes. Consider, for example, how a corporation works. To survive in a competitive market, it must adapt to the constraints built into that market. Even if the CEO of a multinational company wants to be socially responsible, he or she is limited by the expectations of stockholders and Wall Street analysts; if profits are threatened by his social sensitivity, he is likely to lose his job. This means we are now confronted by new forms of impersonal collective self, which are very good at preserving themselves and augmenting their power, quite apart from the motivations of the individuals who serve them. This suggests that the response of a socially engaged Buddhism  of any socially engaged spirituality -- must become somewhat different too. We are challenged to find new ways to address the institutionalized forms of dukkha they now create and reinforce. So much for the first basic principle of socially engaged Buddhism. Another Buddhist principle helps us unpack this connection between dukkha and collective self: the three roots of evil, also known as the three poisons. Curiously, Buddhism does not have much to say about evil itself, and certainly does not postulate the duality between good and evil as a basic metaphysical principle in the way that Manichaeism and some early forms of Christianity did (although there has been a recent revival in some forms of political discourse in the U.S.). In place of that duality, Buddhism distinguishes between wholesome and unwholesome (kusala/akusalamula) tendencies, and identifies the primary sources of unwholesome behavior as greed, ill will, and delusion. It is not difficult to see how these three work together: my greed reinforces my ill-will toward those who obstruct it, and both reinforce my sense of separation from others; my delusion of separation also reinforces my greed and thus my ill-will, etc. Their interaction creates the dukkha of bad karma, affecting not only me but those around me. To end dukkha, these three need to be transformed into their positive counterparts: greed into generosity, ill will into loving-kindness, delusion into wisdom. The important question for engaged Buddhism is: does this second principle also work impersonally and structurally, in modern institutions? Do the three roots of evil operate collectively today? Institutionalized greed. Despite its advantages in some ways, our economic system institutionalizes greed in at least two ways: corporations are never profitable enough, and people never consume enough. To increase profits, we must be conditioned into thinking of themselves as consumers, who find the meaning of our lives in buying and consuming. Contrary to what we are repeatedly told, however, such an economic system is neither natural nor inevitable. It is based on an historically-conditioned worldview that views the earth as resources, human beings as labor, and money as capital to be used for producing more capital. Everything else becomes a means to the goal of profit, which can have no end except more and more of the same thing. Greed has taken on a life of its own. The best example of institutionalized ill will is, however, the institutionalization of militarism. Unfortunately, the horrible crimes perpetrated on September 11, 2001 aggravated militaristic tendencies that were already strong. (Even in the year 2000, the United States was responsible for over half the weapons sold worldwide, according to a congressional study.) The official military budget for the year 2004 is over $400 billion  approximately the same amount as the military budget for the rest of the world. But that astronomical figure does not include the nuclear weapons budget of the Energy Department, the military portion of the NASA budget, foreign military aid, or veterans benefits, which would raise the total by more than fifty percent. Contrary to what we are told, the «Star Wars» missile defense system is another example of our militarism. It will never work well enough to defend the U.S. from a serious missile attack, but that does not matter much because the true goal of the program is the militarization of space, by establishing a network of satellite weapons that can be used to control what happens on the earths surface. Not only has President Eisenhowers farewell warning about «the military-industrial complex» been ignored: the situation has become much worse than he could have imagined. The extraordinary influence of the Pentagon and its extremely profitable corporate allies (again, greed and ill-will reinforcing each other) reveals that ill will, too, has taken on a life of its own. Institutionalized delusion. To repeat what was mentioned earlier, the most fundamental delusion, both individually and collectively, is our sense of a self/other duality: that «I» am inside and the rest of the world is outside. Nationalism is a powerful institutional version of such a group wego-self. So is the basic duality between Homo sapiens and the rest of the biosphere, which is why we feel free to use and abuse nature technologically, with almost no regard for the consequences of this abuse for other species. There are many aspects to institutionalized delusion. One of them is an extraordinary level of simple ignorance regarding basic history, geography and science. Is there any other «advanced» nation where three times as many people believe in Satan and the virgin birth as in evolution? It is difficult to avoid the conclusion that the function of schools is no longer education (in any broad sense of the word) but job training skills and indoctrination into consumerist values, accompanied by patriotic myths of superior American virtues. Since the major media are profit-making institutions whose bottom-line is advertising revenue, their concern is to do what maximizes those profits: infotainment instead of news, and moulding public opinion into a very narrow band of acceptable views. It is never in their own interest to question the grip of consumerism. The programs they offer are the bait, ads are the hook, and we are the fish. If we understand this third collective problem as institutionalized ignore-ance, it helps us to see that modern life in all developed (or «economized») nations is organized in a way that works to conceal the dukkha it causes. The system inflicts dukkha on all of us, but most of all on people whom we do not see and therefore do not need to think about, like those incarcerated in prisons. Thanks to clever advertising and peer pressure, my son can learn to crave Nike shoes and Gap shirts without ever wondering about how they are made. I can satisfy my coffee and chocolate cravings without any awareness of the social conditions of the farmers who grow those commodities for me. In fact, without some serious effort on my part, I may never face the relationship between my addictions and the often destructive monocultural agriculture that makes them possible. My son and I are encouraged to live in a self-enclosed cocoon of hedonistic consumption. This ignorance also perpetuated on the production side. The stock market functions as a «black hole» of ethical responsibility: on the one side are personal and institutional stockholders, who together create a generalized pressure for greater return on investment; on the other side are corporate CEOs, who are judged by how well they respond to that pressure, regardless of any other social or ecological consequences. Investors can pour over the financial data provided by stock analysts without ever reflecting on the non-economic impact of the companies they invest in. And the same ignorance is also maintained militarily: institutionalized ignore-ance means that we do not realize the consequences of overt and covert U.S. foreign involvement in places like Chile, Iran, Indonesia, Colombia, Afghanistan and now Iraq (among many others). Television brought the Vietnam war into our living rooms, shocking us and encouraging an antiwar movement, but the military learned its lesson, and the second Iraq war had «embedded reporters» showing us the «real war,» or so we were led to believe. This self-preoccupation would be more amusing if it were not complicit with so much social dukkha. The problem, quite simply, is that our consumerist lifestyle depends on a global web of unjust social relationships and destructive ecological impacts. The ultimate irony of it all is the uncomfortable fact that, no matter how much money one may have, consumerism is ultimately boring and dispiriting. Realizing the nature of these institutional poisons is just as spiritual and just as important as any personal realization we may have as a result of our Buddhist practice. In fact, any individual awakening we may have on our meditation cushions remains incomplete until it is supplemented by such a «social awakening.» In both cases, what is needed is a greater awareness that goes beyond the limitations of ego- and wego-consciousness. Usually we think of expanded consciousness in individual terms, but today we must penetrate through the veil of social delusion and attain greater understanding of social, economic, and ecological realities. Can we say something more about how these two basic principles of socially engaged Buddhism  the dukkha of wego-self, and the institutionalized three poisons -- are connected? Why do our individual egos and collective wegos generate dukkha-suffering? The inherent problem of the individual ego-self was mentioned earlier: an unreal (mentally-constructed) sense of self «inside» can never escape dukkha because it feels insecure and groundless, and it feels that way because it is that way. Our sense of self naturally wants to ground itself, but it can never do that  at least, not in the way it seeks to be grounded, as a self. The result is that the sense of self is haunted by a sense of lack, the persistent feeling that «something is wrong with me,» which we understand in different ways according to our circumstances and the kind of person we are. Usually we try to secure ourselves by clinging to something in the «outside» world (for example, money and other possessions, or fame, or a loved one). Yet I can never be wealthy enough, famous enough, or loved enough to fill up my sense of lack, since the problem is really inside me: the inherent insecurity of an ungrounded sense of self. This is one way to express the basic spiritual problem. If there is also a group wego, is there also such a thing as a group sense of lack? How would that be experienced? Usually I think that my lack is something specific and «out there,» something lacking in my situation. For example, I think the problem is that I am not rich enough, an understanding that contemporary American culture encourages. We can expect a collective wego-lack to operate in a similar way: that we are not [here supply «X»] enough. For example, our GNP is not big enough; our nation is not powerful («secure») enough; we are not technologically developed enough. If these are instances of group-lack, however, our GNP can never be big enough, our military can never be powerful enough, and we can never have enough technology. This means, therefore, that trying to solve our economic, political and ecological problems with more of the same is a deluded response. To project the source of our problem as «over there,» as an evil outside us that must be destroyed, is especially confused and dangerous, since that reinforces a basic ignorance of our interconnectedness with and interdependence on those «outside» us. If this parallel between individual ego-lack and collective wego-lack holds, it is difficult to avoid the conclusion that the great social, economic and ecological crises of our day are, first and foremost, spiritual challenges, which therefore call for a response that is (at least in part) also spiritual. So much for the problems, from a Buddhist perspective. What can Buddhism say about the solution to them? It is not enough to stop with the first noble truths, social dukkha and its social causes. We need the third and fourth truths as well: an alternative vision of society, and a path to real-ize, make real, that vision. The fact that that there is something unclear, even intentionally vague, about the nature of nirvana: does that also say something about the Buddhist solution to institutionalized dukkha? The early sutras usually define nirvana in negative terms, as the end of craving and dukkha. In a similar fashion, we can envision the solution to social dukkha as a society that does not institutionalize greed, ill will or delusion. In their place, what might be called a dharmic society would have institutions encouraging their positive counterparts: generosity and compassion, grounded in a wisdom that recognizes our interconnectedness. So far, so good; but that approach does not take us very far. Is a reformed capitalism consistent with a dharmic society, or do we need altogether different kinds of economic institutions? Can representative democracy be revitalized by stricter controls on campaigns and lobbying, or do we require a more participatory and decentralized political system? Can the United Nations be transformed into the kind of international organization the world needs, or does an emerging global community call for something different? I do not think that Buddhism has the answers to these questions. That is not because Buddhism is lacking something it should have, for I do not see that any other religion or ideology has the answers, either. There is no magic formula to be invoked. The solutions are not to be found, they are to be worked out together. This is a challenging task but not an insuperable one, if men and women of good will can find a way to work together, without the deformations of pressure groups defending special privileges. Needless to say, however, that is not an easy condition to achieve, and it reminds us of the transformative role of personal spirituality, which helps to develop men and women of good will. Nevertheless, such people are not always to be found within religious institutions, and many of them would not even identify themselves as religious. That should not surprise us, given the history of religious institutions, including Buddhist ones. There is always a tension between the spiritual message of an established religion  the transformative path we are encouraged to follow  and its institutions, which soon develop a different agenda: establishing and defending their status within society. In protecting their own privileged position, religious institutions become complicit with the privileged status of other elites and power structures. It is hardly surprising, then, that many of those most committed to social transformation are dubious about the role of religion. At this critical point in history, the challenge for a socially engaged Buddhism is not to persuade them that religion can play a positive role, but to show them. Furthermore, I think that we do not demonstrate this by trying to develop a distinct Buddhist social movement. Rather, Buddhism has a role to play within the burgeoning anti-globalization (or «social justice») movement. Although it crystallized into self-consciousness during the 1999 anti-WTO demonstrations in Seattle, and many representatives have been gathering at annual World Social Forums in Porto Allegre and Mumbai, this movement remains largely unstructured. That is its strength as well as its weakness. Like Buddhist social theory, it has so far been stronger on diagnosis than solutions. Globalization involves many things  interacting economic, technological, cultural and political developments  but in its present form it is mostly about commodifying all the natural «resources» (including labor) in every corner of the globe, and converting all the worlds peoples to the gospel of produce/consume, in ways that are accelerating the ecological destruction of the biosphere. Since many aspects of this process are quite embarrassing to those who benefit from it, and not to be publicized, the World Bank and IMF promote it with the euphemistic phrase «poverty reduction,» despite the uncomfortable fact that it is actually aggravating the worldwide gap between rich and poor. As this suggests, such globalization serves the self-interest of economic and political elites (there is no significant difference between them), who when necessary do not hesitate to use police and military force to overcome resistance. In short, globalization as presently practiced can be seen as extending the institutionalized greed, ill will and delusion already discussed by expanding their field of operation. The two principles of socially engaged Buddhism presented above  the connection between wego and social dukkha, and the three institutionalized «roots of evil»  add an important dimension to the anti-globalization critique. But what can Buddhism contribute to the development of solutions? I have three Buddhist implications to suggest. The importance of a personal practice. The basis of Buddhist social praxis is the obvious (to us!) need to work on oneself as well as on the social system. If we have not begun to transform our own greed, ill-will and delusion, our efforts to address their institutionalized forms are likely to be useless, or worse. We may have some success in challenging the socio-political order, but that will not lead to an awakened society. Recent history provides us with many examples of revolutionary leaders, often well intended, who eventually reproduced the evils they fought against. In the end, one gang of thugs has been replaced by another. From a spiritual perspective, there is nothing surprising about that. If I do not struggle with the greed inside myself, it is quite likely that, once in power, I too will be inclined to take advantage of the situation to serve my own interests. If I do not acknowledge the ill will in my own heart as my own problem, I am likely to project my anger onto those who obstruct my purposes. If unaware that my own sense of duality is a dangerous delusion, I will understand the problem of social change as the need for me to dominate the sociopolitical order. Add a conviction of my good intentions, along with my superior understanding of the situation, and one has a recipe for social as well as personal disaster. For a good example, read The Private Life of Chairman Mao: The Memoirs of Maos Personal Physician, by Zhisu Li. Commitment to non-violence. Struggling first of all with ourselves leads naturally to this second social principle. A non-violent approach is implied by our nonduality with all «others,» including those we find ourselves struggling against. Buddhist emphasis on impermanence implies another way to express that nonduality -- the inseparability of means and ends. Peace is not only the goal, it must also be the way; or as Thich Nhat Hanh has put it, peace is every step. We ourselves must be the peace we want to create. A solution violently imposed does not become a satsifactory solution, even if it temporarily stops the fighting. If we are inclined to act out of anger, Tibetan Buddhism provides an insightful metaphor: to want to injure someone is to stab yourself in the chest. A deeper understanding reduces our sense of duality from other people, including those in positions of power relative to us. Gandhi, for example, always treated the British authorities in India with respect. He never tried to dehumanize them, which is one reason why he was so successful. Buddhist emphasis on delusion provides an important guideline here: the more nasty another person may be to us, the more he or she is acting out of delusion and dukkha. It makes no difference whether he or she has any inkling of awareness of this truth. For Buddhism such ignorance is never bliss. The basic problem is not evil, but delusion. Gandhi reminds us of another good reason to avoid violence: non-violence is more likely to be effective. The people who administer our economic and political institutions, and who also happen to benefit (in the narrow sense) the most from those arrangements, control awesomely destructive military power and instruments of police surveillance. Fantasies of a violent revolution that would replace them with a just social order need to be replaced with the revolutionary realization that the struggle for social change is not so much a power struggle as a spiritual one, in the sense of a clash of worldviews and moral visions. The successful non-violent revolutions against communism in eastern Europe show us that elites fall when they lose the hearts and minds of the people. It is important to avoid the violent backlash that violence invites, and even more the moral backlash that occurs when the focus of the challenge shifts from a untenable moral position to the violence used to challenge it. In the late 1960s and early 70s, the violent posturing of radical groups such as the Weathermen and the Black Panthers was stupid as well as suicidal. This point needs to be emphasized, because the bodhisattva path is often misunderstood. A bodhisattva does not sacrifice or delay his/her own awakening to help others. Rather, bodhisattvas are deepening and integrating their awakening by learning to live in such a selfless way. They devote themselves to relieving the worlds dukkha because spiritual liberation includes realizing that each of us is nondual with the world. Rather than you and I being opposed to each other, both of us are, in our own ways, complete manifestations of the whole universe: what the whole world is doing right here and now. This means that none of us can be fully awakened until everyone «else» is too. From a Buddhist perspective, then, the critical world situation means that today we need new types of bodhisattvas; or, more precisely, that bodhisattvas sometimes need to manifest their compassion in more socially engaged ways. «Bodhisattvas» means you and me. The original five precepts provide us with another way to develop a Buddhist critique of institutionalized greed, ill will and delusion. Briefly, a vow of no killing is incompatible with militarization and the myth of «redemptive violence» that rationalizes it. The violence of secretive terrorist groups is minor compared to the large-scale violence (usually against innocents) that modern states employ to enforce their control and extend their influence. In Buddhism this precept has always been understood to apply more broadly, to include other sentient beings as well; today the imminent collapse of many ecosystems, and the accelerating extinction of so many animal and plant species, requires a more ecologically-engaged attempt to embody it. In a similar fashion no stealing, traditionally defined as «not taking what is not given to you,» is incompatible with an economic system that commodifies the whole earth and its creatures into «natural resources,» which it tends to concentrate in the hands of a global elite largely unconcerned about the dukkha this is causing. No lying is incompatible with the systemic deceptions of the increasingly-concentrated corporate media, which use their enormous influence not to inform but to manipulate in pursuit of advertising profits. We are diverted and distracted by infotainment. Our collective nervous system is for sale to the highest bidder. Today no harmful sexual behavior, sometimes defined as «sexual relations that cause pain to others,» can be understood as implying not only the empowerment of women but opposition to all gender-based discrimination. Is it also compatible with the widespread use of sexual imagery in entertainment and advertising? By exploiting sexuality to grab our attention, do the media encourage a crass, exploitative attitude towards the expression of our sexual feelings? Finally, we are to use no harmful intoxicants that «cloud the mind,» traditionally emphasizing alcohol although applicable to many other legal and illegal drugs as well. The Vietnamese teacher Thich Nhat Hanh, however, understands this precept as «no abuse of delusion producing substances,» which (depending on how we use them) could therefore include television, walkmans, cellular phones, the internet and other technological devices that many of us are addicted to. Silicon chip miniaturization continues to provide us with more opportunities to divert and distract ourselves anytime and anyplace. To sum up, what is distinctively Buddhist about socially engaged Buddhism? Emphasis on the social dukkha promoted by wego-selves as well as ego-selves. The three collective poisons of institutionalized greed, institutionalized ill will and institutionalized delusion. The importance of personal spiritual practice, commitment to non-violence, and the realization that ending ones own dukkha requires us to address the dukkha of others as well. The traditional five precepts, understood in more social terms, give us more specific guidelines that point toward the kind of society we are trying to create, as well as provide us with the framework to follow as we search for ways to challenge the present social order. Although these Buddhist principles encourage what Stephen Batchelor has called a «culture of awakening,» they do not amount to a distinct social program. Together, however, they add a more spiritual dimension to the global peace and justice movement that has sprung up in recent years. Present social elites and power structures have shown themselves incapable of addressing the various crises that have already begun to threaten humanity and the future of the biosphere. It has become obvious that those elites are themselves a large part of the problem, and that the solutions will need to come from somewhere else. The anti-globalization movement has an increasingly important role to play, and a socially-awakened Buddhism can play an important role in making that movement more spiritually aware. February/March 2004 - © David Loy - Reproduction interdite.